If we had a dime for every launch date that has been rumored for the Asus Transformer Prime, we might have enough money for a...subway token. Still, that free transportation could come in handy the week of December 19th when the quad-core powered tablet is expected to be available in North American locations. That is the word that Android Central says it has received from Asus itself. For those ordering the device online, there is talk that those orders will arrive a week earlier, during the week of December 12th. Either way, it is going to be a close call if you plan on giving the tablet away as an Xmas gift. An embargoed review of the tablet on YouTube gave us hope that the device would launch on Thursday and other speculation centered around December 8th. 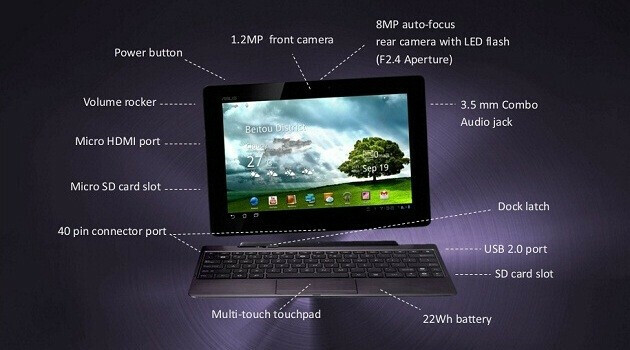 The 32GB model of the tablet is expected to go for $499.99 with $599.99 being asked for 64GB. Hard to believe that we are just a few weeks away from the beginning of quad-core speed in the mobile world It doesn't seem that long ago when the first 1GHz Snapdragon processors were rocking the industry. Engadget wrote it has lags.....how can it be?? Quad core and lags? Is it android fault? It is probably Honeycomb´s fault. With ICS (hardware acceleration) and a bit of tweaking I bet this beast will fly. I hope so otherwise it will be a huuuge dissapointment.